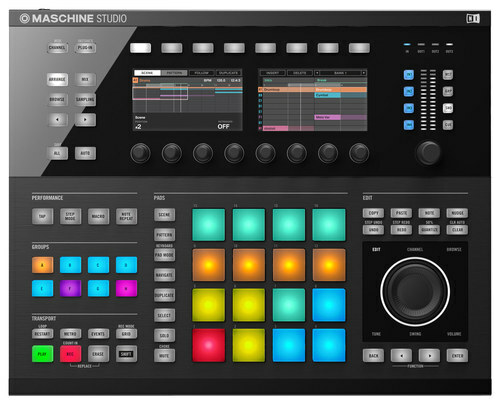 United States » CA » Los Angeles » Search results for: "Equip / Instruments in Los Angeles"
This Native Instruments MASCHINE STUDIO NAT 22550 production studio is preloaded with an 8GB sound library that includes 1,200 patterns, 445 drum kits, 403 sliced loops, 388 multisampled instruments and 38 projects to help you create a custom sound. This wireless sytem features everything you need for quality vocal performance. It is equipped with a capsule from Sennheiser's evolution 900 stage line (the e-935 handheld is among the most adored dynamic cardioid microphones in Sennheiser's line). The evolution 900 series is stage proven and used by many acts on tour, known to elicit passionate endorsements and a "no other mic will do" attitude among its users. This capsule, based on the evolution e 935, allows the vocals to cut-through the mix while remaining warm and full sounding. Try it, you'll like it. AudioFrequency response (TX): 80Hz - 18kHzMaximum SPL: 154 dBFormat: AnalogRangeLine of sight: 300'Obstructions: 100'MicrophoneCapsule: DynamicPattern: CardioidType: HandheldBatteryType: AA x 2Life: 8 hoursFrequenciesAvailable frequencies: 12Bandwidth: 42MHzConstructionTransmitter: ABS plasticReceiver: MetalDimensionsReceiver: 8.35 x 1.7 x 7.95"Transmitter: 10.4 x 1.97"WeightReceiver: 2 lbs. Transmitter: 1 lb. 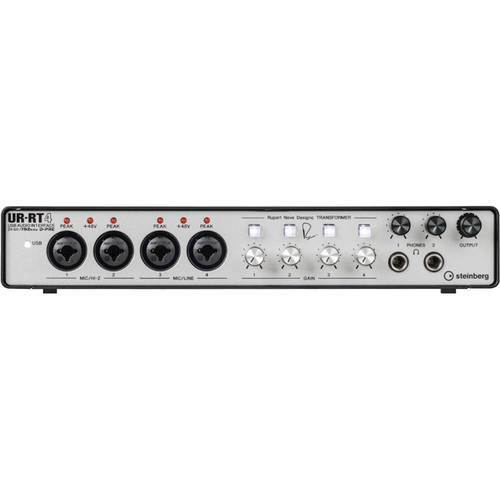 Connect instruments and equipment to this Steinberg audio interface. It offers a mobile production platform with a range of input/output options for tablets and computers, and it helps deliver dynamic sound for vocals and guitars. This Steinberg audio interface has a maximum sampling rate of 192kHz at 24-bit resolution for high-quality, accurate sound. You can depend on a great performance with the ew 135 G3 vocal system. Handheld wireless system featuring the SKM 100 G3 equipped with the famed e835 cardioid dynamic capsule. Includes mic clip and EM100 rack-mountable True Diversity receiver with intuitive scan, and sync functions that ensure trouble-free operation. Features: Sturdy metal housing (transmitter and receiver)42 MHz bandwidth: 1680 tunable UHF frequencies for interference-free receptionEnhanced frequency bank system with up to 12 compatible frequenciesHigh-quality true diversity receptionPilot tone squelch for eliminating RF interference when transmitter is turned offAutomatic frequency scan feature searches for available frequenciesEnhanced AF frequency rangeIncreased range for audio sensitivityWireless synchronization of transmitters via infrared interfaceUser-friendly menu operation with more control optionsIlluminated graphic display (transmitter and receiver)Auto-Lock function avoids accidental changing of settingsHDX compander for crystal-clear soundTransmitter feature battery indicatation in 4 steps, also shown on receiver displayHandheld transmitter with easy-exchangeable microphone modules from evolution seriesIntegrated Equalizer and Soundcheck modeContacts for recharging BA 2015 accupack directly in the transmitterWide range of accessories adapts the system to any requirementGet your Sennheiser EW 135 G3 Handheld Wireless System today at the guaranteed lowest price from Sam Ash Direct with our 45-day return and 60-day price protection policy. Warning (for California residents only): Please note per Proposition 65 that this product may contain chemicals known to the State of California to cause cancer and birth defects or other reproductive harm. This wireless package is designed for presenters who want the microphone to "disappear" on stage. The Shure MX153 is a beige-colored earset with a slender shaft and a tiny mic element. It is ideal for musical theater, plays, teleconferencing, church audio and business presentations. The BLX14R/MX53 system is additionally equipped with the BLX bodypack transmitter and the BLX4R rackmount wireless receiver. The BLX series bodypack transmitter works with lavalier and headset microphones, and also works for guitar with the appropriate cable connector. The beltpack features an On/Off hard toggle switch, preferring to eliminate the multi-function push button that is used on some wireless transmitters. Many users found the multi-function single button to be inconvenient and unreliable. The BLX4R reciever includes all of the hardware you need to install this system into a road rack. It is a true diversity two-antenna system with channel scan and XLR and 1/4" outputs. TwinScanâ ¢ Instruments embody a new concept in twin engine analog instrumentation which sets the ultimate standard for easy readability in the least possible space. Each individual instrument contains port and starboard meters which reference to each other. TwinScan instruments reduce the panel space required by 50% leaving more room for other electronics. TwinScan Fuel Flowmeters and Tachometers are sold separately. Features GPH models available with 0-16, 0-24, 0-32, 0- 50, and 0-100 GPH scales. Color styles include black dial/bezel, white dial/bezel, and white dial/chrome bezel. Requires 1 SPST push button panel switch for resetting fuel totalizer reading. Microprocessor electronics for high performance features like electronic dampening, linear dial scales, superior accuracy unaffected by ground voltage shifts. Patented, magnetically shielded, precision, miniature air-core meter movement with state-of-the-art engineering feature s. Corrosion free stainless steel bezel (black, white or polished) and molded acetal cases which fit standard 3-3/8" diameter holes. Reverse polarity and load dump protection exceeding SAE J1810 standards.